Have you enjoyed a fresh new shopping experience at the The Fashion Mall this winter? 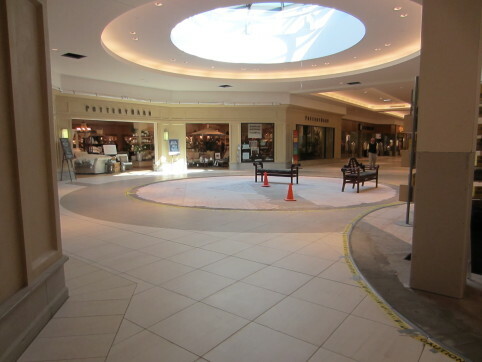 The beautiful redesign of The Fashion Mall flooring, countertops and patterns were done by Santarossa Mosaic and Tile Co. The project scope included everything from Italian porcelain tile flooring to the natural stone granite countertops. The tile has a radius type design and a water jet was used to cut the detailed patterns. 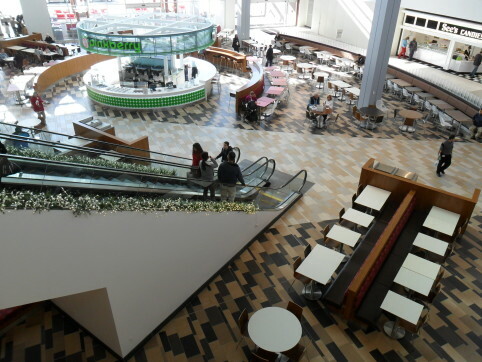 The project consisted of the entire mall and the renovation took 3-4 months working at night. Santarossa has been outfitting commercial properties and homes since the early 1900’s. The company’s landmark warehouse is located in downtown Indianapolis and boasts over 4,000 slabs of natural stone. In November 2011, Santarossa opened a retail showroom on the first floor of the Indiana Design Center that caters to both homeowners and design professionals.